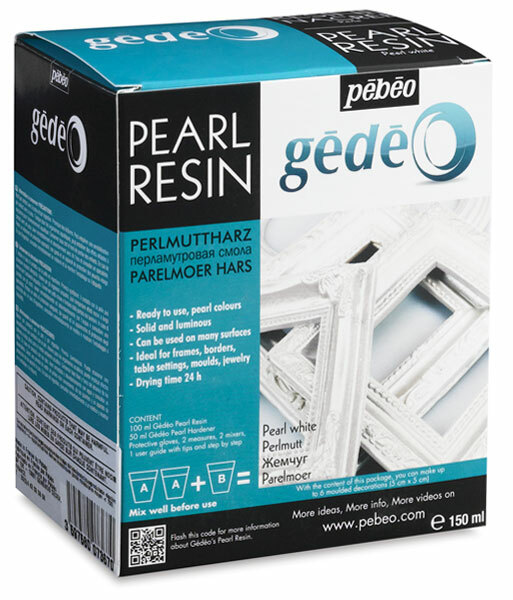 These two-part pearlized resins are ideal for molding, or for creating dimensional art pieces for décor. They also may be mixed with Gedeo Colour Resins to create marbleized effects. Their strength and durability allow for molding decorative pieces such as frames, borders, and table settings. The pearlized finish is also perfect for jewelry, pendants, hair clips, decorative embellishments, and more. Pearl Resins dry within 24 hours to a shiny, hard, non-yellowing finish.